Each year, we set aside two days when our members can join us for a day, get involved with our work and give us a bit of a helping hand. They’re fun days and a great opportunity to meet other members (and us!). Please bring along rakes and gardening gloves if you have them. Do come dressed for whatever the weather throws at us. As with previous years, those in attendance will be provided with a delicious lunch in Feathers Restaurant. 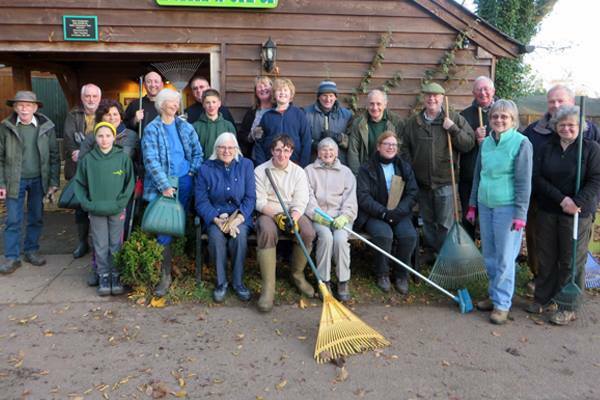 Please email jemma@hawkconservancy.org to let us know you will be joining us for the working party, so we can ensure that everyone is catered for. The Hawk Conservancy Looks forward to seeing you!